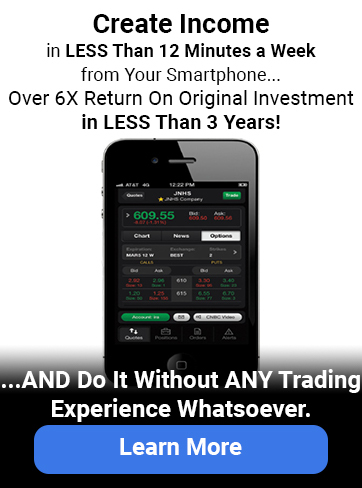 07-10-2018 Trade of the Day - Trading Concepts, Inc.
​U.S. 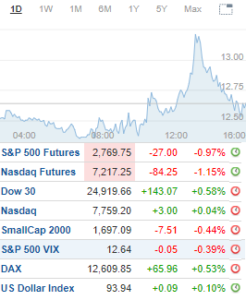 markets showed continued momentum following Tuesday’s jobs data, as the news reflected a stronger economy with more job openings and more potential workers coming off of the sidelines. The small-caps showed weakness an hour after the open and suggested early that the opening gains might be limited with near-term resistance levels holding. Volatility made a lower low and remains in a relaxed atmosphere. The Dow extended its win streak to 4-straight sessions after rising 0.6% and testing an intraday peak of 24,945. Resistance at 25,000 held and a level last seen in mid-June. The S&P 500 was higher by 0.4% following its intraday push to 2,795. Resistance at 2,800 held and a level that hasn’t been cleared since March 13th. The Nasdaq advanced 3 points, or 0.04%, after trading to a first half peak of 7,777. Resistance at 7,800 held with the all-time record high north of 7,806. The Russell 2000 was the weakest link after falling 0.5% to snap a five-session win streak. The small-caps closed back below 1,700 after making a fresh lifetime high north of 1,708 by a just over a half-point.